Since its inception, Bayreuth has become the byword for innovative and daring productions. 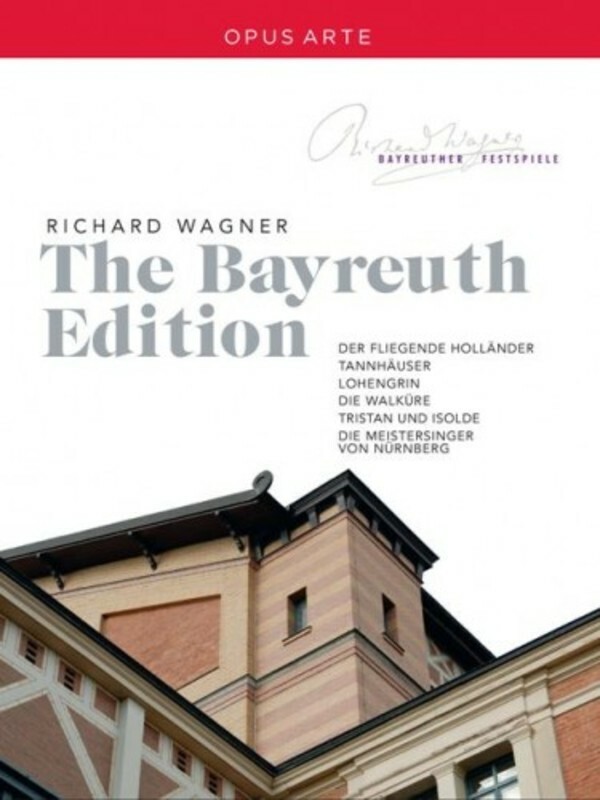 The six operas featured on this release are certainly no exception - showcasing the original sets, creative productions and outstanding singing that the opera house is famous for, they cement Bayreuth�s worldwide reputation for nurturing raw talent, constantly striving for innovation. Jan Philipp Gloger�s controversial production of Der fliegende Holl�nder is conducted by Christian Thielemann, �Germany�s most sought-after conductor� (Daily Telegraph), while Axel Kober takes the helm in Sebastian Baumgarten�s thought provoking production of Tannh�user, which casts the opera as one giant experiment. Die Walk�re stars up-and-coming singers Johan Botha and Edith Haller, both praised in the German press for their standout performances. The radical Tristan und Isolde sees Christoph Marthaler setting the romantic opera in a Communist-era reception room, unencumbered by the traditional lakes and forests, instead more like a psychodrama of the 1950s. Concluding the six operas is Katharina Wagner�s debut production: Die Meistersinger von N�rnberg, the first ever live recording from the Festival, praised by Opera Canada for its �stunning theatrical spectacle�. Richard Wagner�s operas find their home at Bayreuth, and these six very different but equally compelling performances capture the spirit of the German composer perfectly.